There are such a large variety of percussion instruments available. 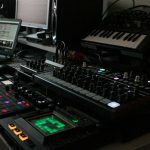 If you’re currently looking to spice up your setup then check out the suggestions in this article. Percussion is believed to be the oldest form of muscial instruments in mankind (apart from the human voice). For thousands of years, people have been playing all various kinds of these instruments. The most beautiful thing about percussions is that there are so many of them around and each instrument perfectly reflects the culture where it originated from. On today’s market, most of these instruments are relatively easily accessible, so adding them to your setup shouldn’t be that complicated. A cowbell is definitely one of the first percussions that come to my mind. Its name speaks for itself, so you will definitely find its sound pretty familiar. One of the great things about this instrument is that it can be used for pretty much all kinds of music genres, from classic rock to Afro-Cuban beats. You can find all kinds of types and sizes on today’s market, with different sustain, sound colors etc. Popularized by the legendary drummer Cobham, octobans are relatively new percussion. It was originally introduced in 1978 by Tama, a renowned drum maker. As its name says, they come in a group of eight small-diameter tom-toms in melodically tuned octaves. However, most drummers use just a couple or four single-head octobans. This is a great way to make your drums sound brighter and more melodic. There is no need for some special introduction in this case. A tambourine is one of the most common percussions around and I’m sure that you are very familiar with its sound. You can find many of these designed in such way to feature mounting system, so you can attach them on your drum set. A cheap and easy way to a bit of dynamics to your playing. While hi-hats are an integral part of the standard drum kit, there are various other types of cymbals that can color your playing. Different pitch, sustain and tone characteristics are just some of the distinctive points of each cymbal. Some of the most common effect cymbals are China, Trash, Splash, and others. This large percussion has been in use for thousands of years. Eastern civilizations like Chinese are the first association to this instrument. People from this part of the world have been using it for various purposes, including mediation, rituals etc. Today, many rock drummers like to use this instrument that is characterized by almost endless sustain. Among slit percussion instruments, this one is probably the most common. Basically, it is nothing more than a hollowed single-piece wood instrument, which comes in various kinds of shapes – rectangular, round, tubular etc. It has been through the history, it has been used in both western and eastern civilizations. In a modern drum set, its position is usually at the top of the rear rim of the bass drum. Adding unique percussion instruments is definitely a great way to make your drumming sound more exotic, but sometimes we just want a common sound that comes in a slightly different color. For such purpose, a side snare seems perfect. Basically, it is nothing more than a snare drum with smaller dimensions, which clearly indicates that you can expect a higher pitch. Another great addition to your drum set that doesn’t need a special introduction. It features a set of metal tubes of different sizes, usually made of aluminum, which is hanged on a wooden stick or something like that. You can find various designs of mark trees, of different size, numbers of tubes etc. In each case, you can count on a nice chime-like sound that will help you in creating a perfect atmosphere on the stage. If you want to add some reggae and ska flavor to your sound, this is the percussion that you’ve been looking for. Developed probably in the late 19th century, this instrument is pretty much a kind of a drum that features metal casing. Thanks to its amazing tonal characteristics, it is hugely popular among Latin jazz drummers, for salsa, Afro-Cuban and many other beats. Among all those amazing percussion instruments that came from Cuba, this one is probably the most popular. Many drum players use them, although them despite the fact that there aren’t many things in common with a classic drum set. It is an inevitable part of every Latin music genre, including salsa, samba, Afro-Cuban, Latin rock and numerous jazz subgenres. Maraca is another common instrument that comes from Caribes. It is nothing more than a pair of shakers, which can be made of various materials, mostly wood and leather. It is used for pretty much all kinds of Latin music, but also in pop, rock and other genres. For example, you can hear maraca in many Led Zeppelin tunes. The Güiro is definitely one of the most interesting instrument on the list. It originates from Puerto Rico and practically, nothing more than an open-ended hollow gourd. It comes with numerous parallel notches and it is played by rubbing a stick or tines along the notches. If deliver a fantastic, easily recognizable ratchet sound that can be in pretty much all kinds of music and for many other purposes. After this quick tour that included several pretty exotic instruments, let’s get back to something moderns and more common. The Rototom is definitely one of the best percussions you can add to your drumset. Designed by Al Payson and Michael Colgrass, this drum features no shell. It consists of a zinc or aluminum frame and a single head. The best thing about it is that you can tune it by simple rotating. Thanks to its variable and pretty wide pitch range, you can take you drumset to the completely new level of sound. It is simple, easy to mound and definitely the thing you should try, no matter the genre or playing style you prefer. Played like a gong, the gong drum is actually some kind of a huge tom that can be mounted just like other toms. It features a bass-size diameter, which provides a super-low pitch and amazing sustain. If you want to check how this drum would sound in rock or some other popular genre, just listen to a band called Styx and their drummer Ed Cassidy. Although not a percussion instrument in a physical sense, drum module is definitely is a great tool for modern drummers. No matter if you play on pads, or you want to connect triggers to your acoustic drums, drum module will offer you so many new possibilities that will instantly make your playing much better. Definitely a great way to easily expand your sound and become a better musician. 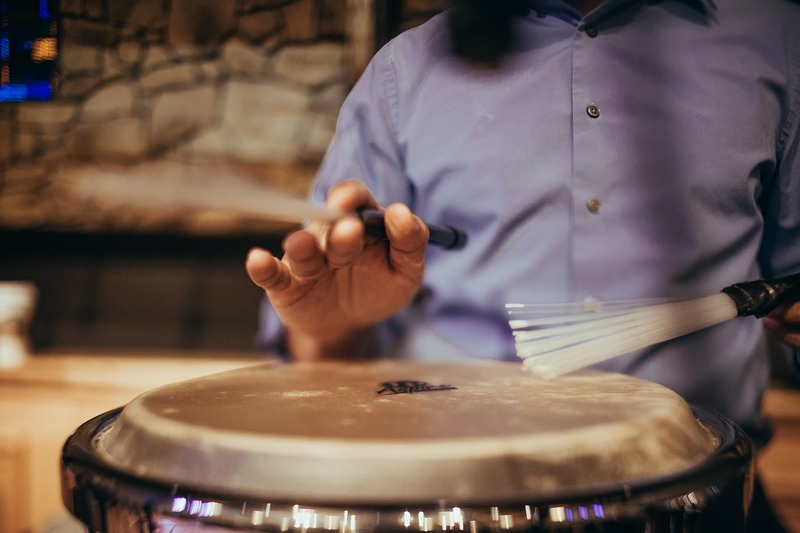 That would be a short list of some of the most common percussion instruments that could be a great addition to your drum set. Each one offers a unique tone that can add new colors to your playing. Keep in mind that the world of percussion is huge. These are just some of the instruments that came to my mind. 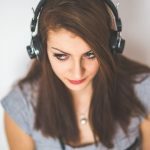 Try to listen to as many of them as you can find, to get know with all of their characteristics and some of them will definitely become a part of your set, no matter the genre you play.